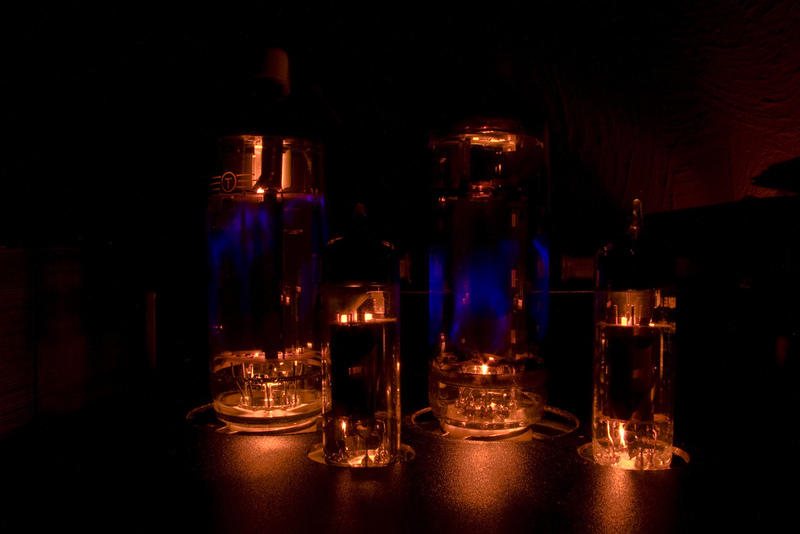 Look at your amp’s tubes and you will likely notice the warm glow inside. 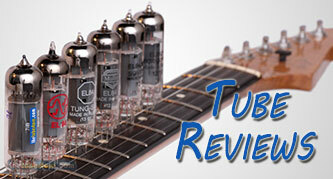 The color can tell you whether your amp tube is working properly or going on the fritz. 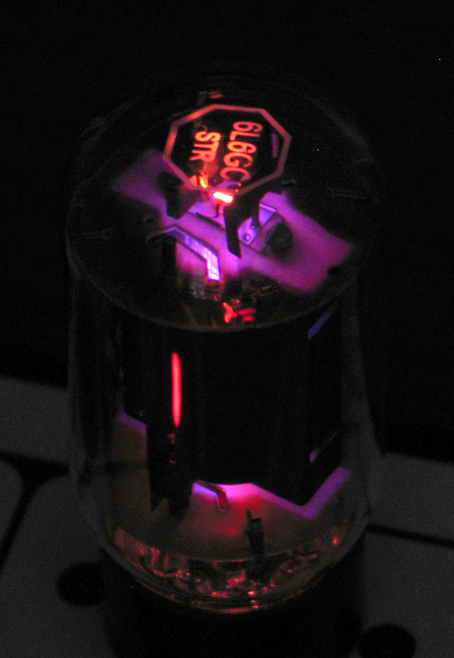 Users regularly express concern about the color of the glow found inside their amp tubes. Sharing a little background information about this topic will help you better understand the colors of glow found within your tube. Understanding the background of that blue glow in your amp tube can be a good conversation starter at your next gig or musician’s party. Sometimes you may notice a blue hazy glow inside your amp tube. This glow is rarely a sign of a defect and is fairly common especially in modern power tubes. This type of glow is called Fluorescence. This phenomenon is due to electron bombardment of the glass taking place within the tube. Tubes displaying this phenomenon are particularly good with respect to gas content. Sometimes you may notice a more violet colored glow around a specific element inside your vacuum tube as opposed to a cloudy/haze as described earlier. Do not let the attractiveness of this coloring combination fool you. Unlike other blue glows, this coloring needs your attention. The compelling glow is usually the sure sign of a compromised tube that is not operating correctly. When you see this you can usually be assured that the tube has an air leak. You may see cracked glass but it’s possible the leak can be where the wire leads/pins exit the glass bottle. Some older tube models operated by using mercury. 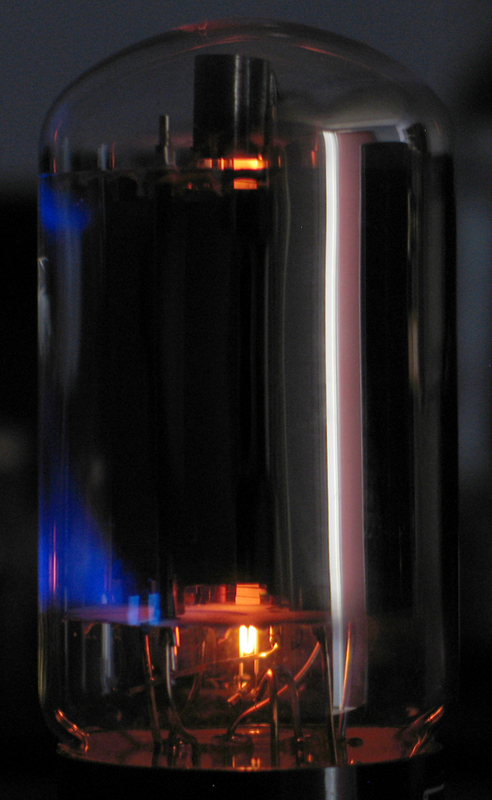 These tubes also emitted a blue/violet glow during operations. Since mercury-filled tubes are rare in today’s industry, musicians and audiophiles usually do not need to be concerned about this topic. Some tubes are actually gas-filled voltage regulators or thyratrons and the glow seen in these tubes indicates that they are functioning properly. Although these are very uncommon in guitar amps or hifi tube amplifiers, there are some exceptions. Probably the most well known for musicians would be the Leslie 145 and 147 units that use the 0C3 voltage regulator tube. The color of the glow will depend on the gases used to fill the tubes. 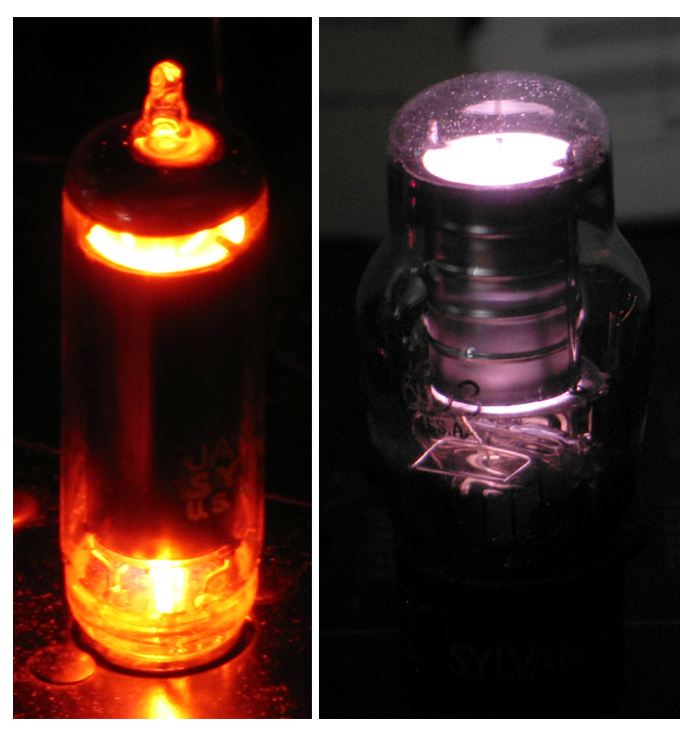 Next time we’ll take a look at filaments, or heaters, in tubes as well as glow from red-plating. Thanks for this article. Confirms that the orange glow is normal. Great explanation. One point of confusion. In this case, why doesn’t the getter consume the air and fix this? In my experience, a seriously gas compromised tube will have a white spot on the side/top from the barium getter deposited on the glass inside the tube, vs silver when the vacuum has been lost, and the barium becomes oxidized. I know that neon/argon gas intrusion is not consumed, by the getter, because they are noble gasses, but wouldn’t that gas compromise be more orange/yellow? howdy all, i have a question i have a 2 yr 0ld jet city\soldano 100/50 watt head. i called jet city to ask about bias they said dont bother but in the maual it says it CAN be biased.iv ben useing tube amps forever and i have heard of this on smaller amps but never on the big amps. this is on a 6l6 platform and they glow blue and just a little at bottem. im no tube gurew. what do you sugest i do. i have a bias probe and a meter .thank you. Mark. If the amp can be biased, and you know how to bias amps safely, I suggest you do it. Aim for 30mA to 40mA per tube is likely fine. Blue glow is not an issue, we have another blog article that addresses this.